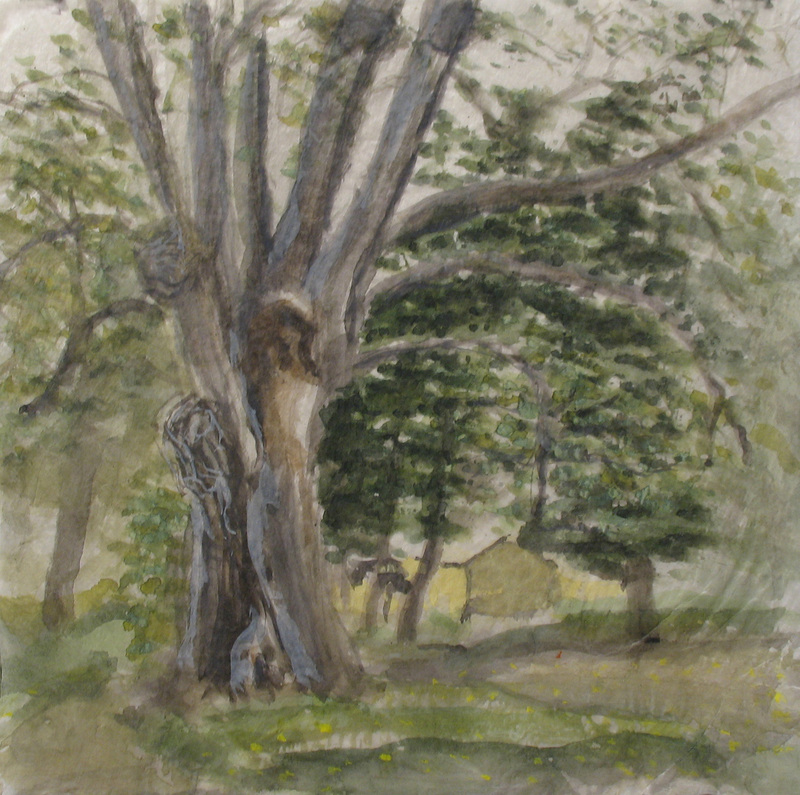 This painting is of a maple tree that was planted in 1857. It is missing a few limbs and has a few growths on it. The yellow house beyond the trees was Homer Watson’s birth place on Tilt drive in Doon. This watercolour painting is on Inshu gampi, about as thick as cigarette paper and looks a bit like wax paper but has much more sheen. Amazingly it holds paint, in a most wonderful manner. Come see it in the exhibition of this project, In Homer Watson’s Footsteps opening June 21 from 2-4. Tags: Doon, Homer Watson, inshu gampi, Kitchener, maple, Region of Waterloo Arts Fund, watercolour | Permalink.